We were hopeful after looking at the blues in the sky that the weather would be fine the next day. But the grey dominated and it was snowed out the next day. 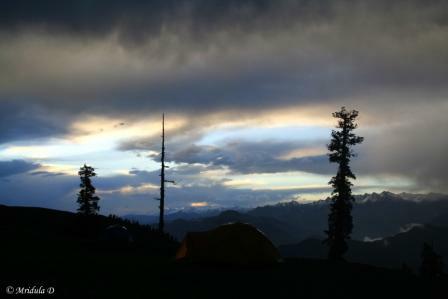 This image was taken at Talhauti in Uttarakhand Himalayas while I was trekking in the region in early June. Please visit the Skywatch page for beautiful images of skies from around the world. 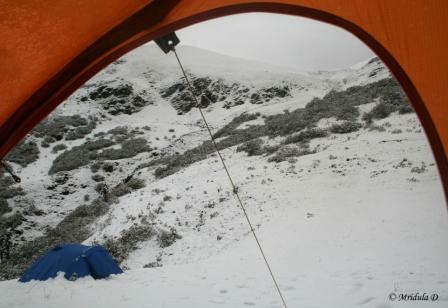 If you peer hard you can see three men peaking out of the tent. 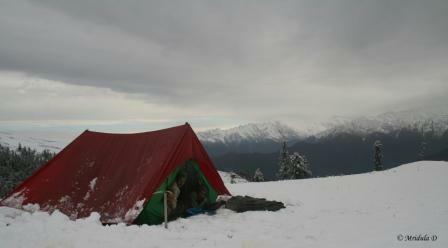 This was the only day on the trek when the support team took it easy. We all knew that the trek was over, the mountains had decided that we shall not pass!